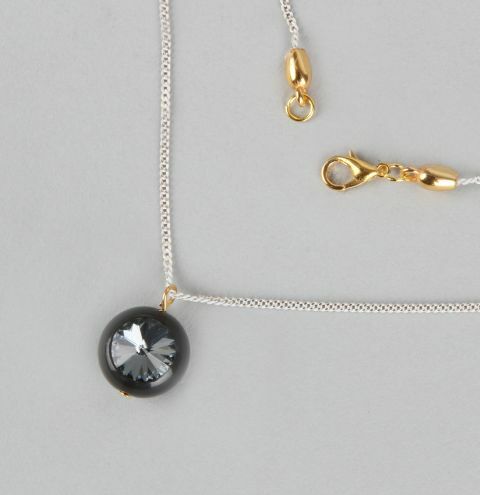 *SALE MAKE* Make a glistening, evening wear necklace with components from the SALE! Choose from more bead colour options for just 55p HERE. Cut an 18 inch length of chain and glue your cord ends onto each end. Once dry, attach a jumpring to each end and a lobster clasp to one of the rings. Put a headpin through the bead and create a loop. Attach this to the chain and carefully glue in the crystal.